Applied Ballistics, run by top Palma shooter Bryan Litz, now offers extremely high-quality loaded match ammunition for .308 Fullbore (Palma) shooters. The new Applied Ballistics “FULLBORE” ammo, priced at $38.00/box, is unlike anything on the market. It features the best available components, with individually-weighed charges. Independent testing shows this ammo offers extremely low ES and SD with accuracy comparable to precision hand-loaded cartridges. AB FULLBORE is the only .308 Win Ammo with Individually-Weighed Charges. 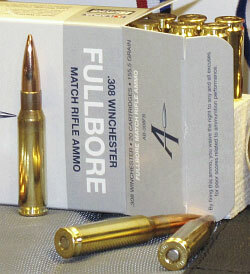 AB FULLBORE is the only .308 Win Ammo with Berger Bullets AND Lapua Brass. AB FULLBORE is the only .308 Win Ammo Optimized for Int’l Fullbore Competition. AB FULLBORE is the only .308 Win Ammo with Independently-Verified Single-Digit SD. Notably, the Applied Ballistics ammo had a lower ES and SD than Jerry’s handloads. One five-shot group of the FULLBORE ammo had an ES of 7 fps and SD of 2 fps — that’s remarkably low. Four groups shot with Tierney’s handloads at 300 yards averaged 0.449 MOA, vs. 0.498 MOA for two groups of the Applied Ballistics ammo, so the accuracy is very close to the best precision handloads. Click Here for complete Jerry Tierney Applied Ballistics Ammo Test Results (PDF file). 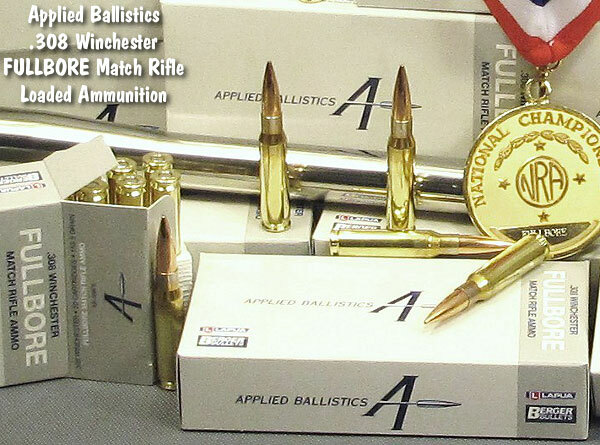 To order Applied Ballistics’ .308 Win FULLBORE ammo, visit Bryan’s AppliedBallisticsLLC.com website, which features secure online ordering. Currently, .308 Win FULLBORE ammo is priced at $38.00 per 20-round box (shipping extra). Share the post "New Match-Grade .308 Win FULLBORE Ammo From Bryan Litz"
Lock, Stock, & Barrel (LS&B), a family-run vendor of ammunition, reloading supplies, and shooting accessories, has gone out of business. 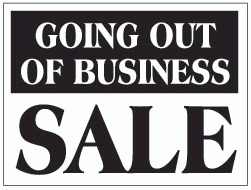 We’ve been informed that the Nebraska-based business filed for bankruptcy and that the doors are shut for good. We’re sad to see any business failure in our industry. Lockstock.com often had attractive specials, particularly on optics. But, ultimately, they couldn’t compete with the larger online retailers, such as Midsouth Shooters Supply, Graf & Sons, and MidwayUSA. If you are a past Lock, Stock, & Barrel customer and you do NOT want your information shared with MidwayUSA, please follow the “opt-out” instructions in the recent email, or send a request to be removed from the mailing list to: optoutlockstock@gmail.com . Share the post "Defunct Lock, Stock & Barrel Sells Customer List to MidwayUSA"